Multiple types and lengths available for thermocouple(s). Multiple types and sizes available for flange(s). Multiple types and sizes available for lead wires (KAPTON available for minimal contaminant release). Compatible O-rings available for flange(s). Can be adapted to virtually any temperature range. One of the biggest challenges facing the vacuum industry is to collect multiple readings from complex assemblies while being limited by the number of existing feedthrough ports in a vacuum chamber. 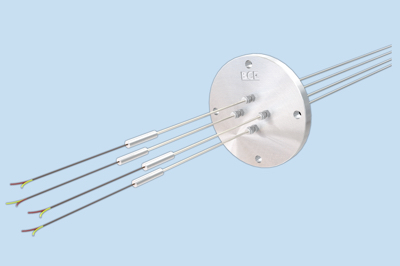 With BCE’s Multi-TC, Flanged Feedthrough, companies no longer need to invest in adding more ports for a greater collection of temperatures from a vacuum environment as multiple thermocouples are embedded in just one feedthrough. 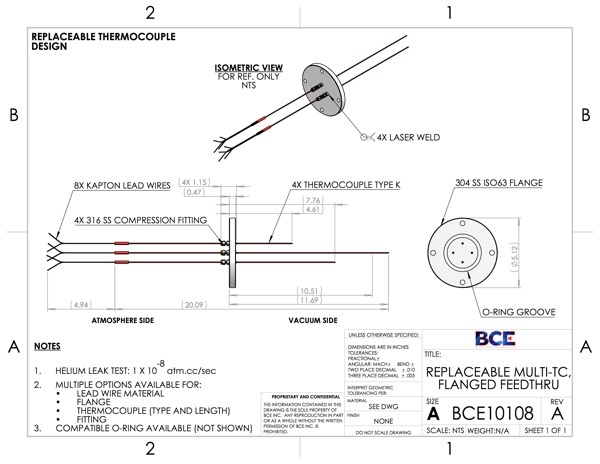 The number, type and lengths of the thermocouples can be altered to match specific application requirements meeting each customers’ unique needs. As the thermocouples can be adapted to meet unique design constraints, so can this feedthrough’s flange. All sizes used are standard and are easily mountable with readily available hardware. No complicated assemblies are required for the most complicated of vacuum setups. With most vacuum feedthroughs, troubleshooting can be difficult as well when multiple fixed elements are involved. If one element fails, generally the entire vacuum feedthrough is rendered useless. With BCE’s Multi-TC, Flanged Feedthrough, arduous troubleshooting procedures are a thing of the past. In fact, this feedthrough’s thermocouples are replaceable as they can be extracted from the compression fittings with great ease. 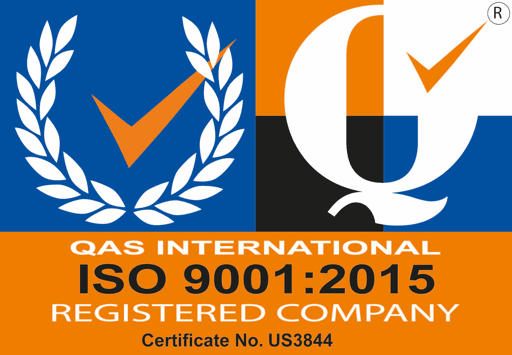 This means that if thermocouples fail, they can be removed, tested and replaced within minutes. Thus, this no-hassle design allows for faster, more accurate and more cost-effective thermal data collection. Trust BCE’s Multi-TC, Flanged Feedthrough for your most complicated thermal detection needs.